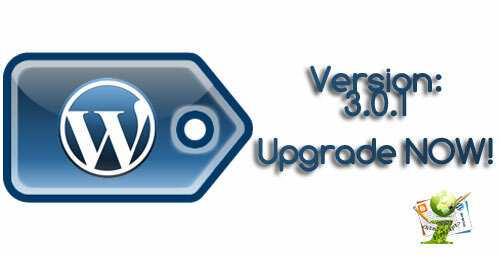 After the great release of WordPress 3.0, today an Upgraded version 3.0.1 was released! We just upgraded now and everything seems to work fine from the Dashboard. Although we did take backups of everything, but nothing seriously seems to be needed! The upgrade was simple and took only a while! 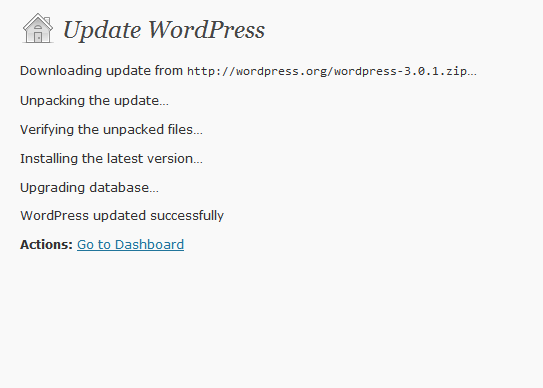 As mentioned in WordPress.org, This is basically a maintenance release! Fixed 55 tickets total. A break down of ticket status by component can be found in Trac. Added unregister_nav_menu(), for child themes. I hope that you will too like the new release of WP. Do let us know if you encountered any bug during upgrade and dont forget to give your feedback!